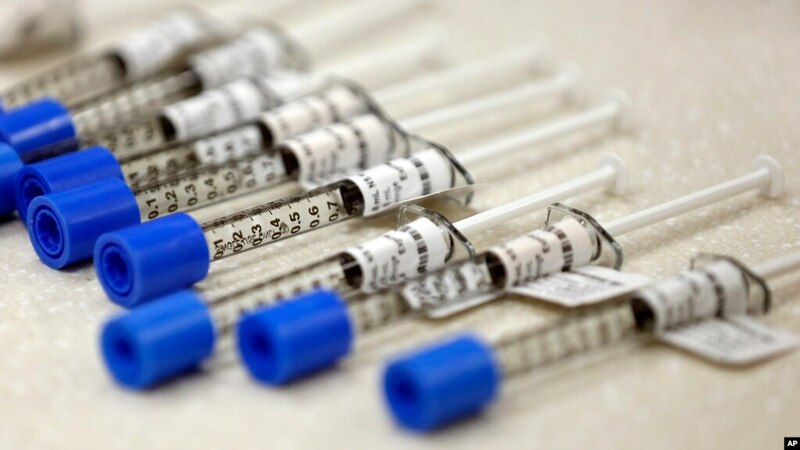 FILE – Syringes filled with the opioid painkiller fentanyl are shown in an inpatient pharmacy, June 1, 2018. COLUMBUS, OHIO — Fatal drug overdoses increased to a record 4,854 last year in Ohio, a 20 percent rise compared with the previous year, according to information reported to the state. Gov. John Kasich’s administration is spending more than $1 billion a year to fight the drug epidemic, most of it to provide addiction treatment though Medicaid expansion. The state also is investing in providing the opioid-overdose antidote, naloxone, to first responders and others and in supporting efforts including drug courts, housing for recovering addicts and educational programs.